Some may have noticed that this site has undergone a small name change. This change is to reflect that the site will detail many and various aspects and experiments using blender and not solely feature video content exclusively. One of my recent experiments with blender was in creating and animating a galaxy effect using only blenders particle system. “A short experiment with Particles. This uses 3 particle systems and 2 vortex forces. Fairly pleased with the result.” – YouTube Desc. 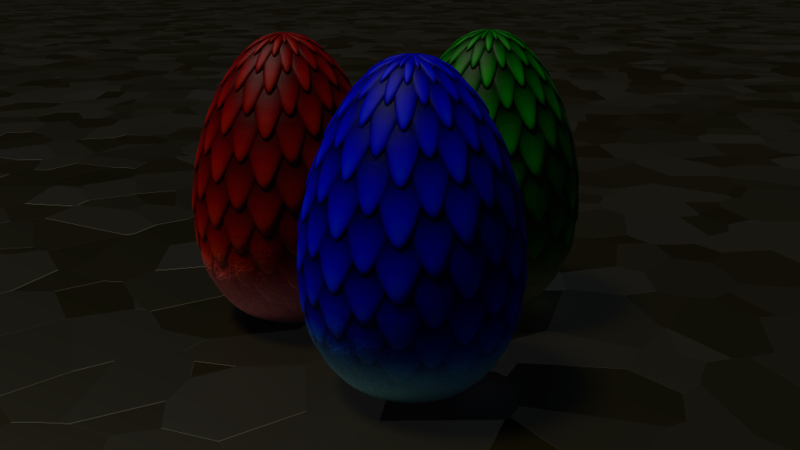 In this short 17 minute video I go over the process I used to create displacement maps in blender itself for use in my Game of Thrones style Dragon Eggs. You can now purchase you very own Dragon Egg through the Store, or head over to Granthus Gadgets on Shapeways. Copyright © 2019 Calizari Blender. All Rights Reserved. The Snowblind Theme by bavotasan.com.